I drove up at church for VBS Wednesday night expecting to see a cuddly baby tiger. What I saw completely blew my mind. A huge. Giant. 600 pound. Full grown. T-I-G-E-R. Perhaps my expectations were entirely too low. Our theme was jungle safari. And boy was it a jungle. About 40 kids were super excited to see what we had in store for them this week. And Wednesday night, they got the treat of a lifetime. 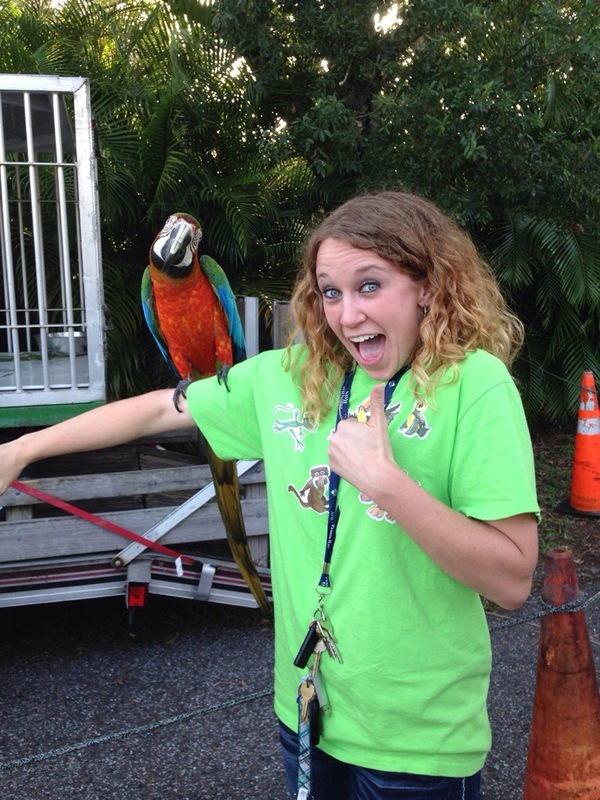 A large tiger, baby alligator, colorful macaw, and snake were ready to meet them. Or perhaps eat them. We were told to watch the little fingers because the macaw thinks they look like French fries. And I was worried about the tiger in a cage. Behind the bars, the tiger may look like a giant cuddly kitten to some people. To others, it’s a full grown, hairy, raging animal. (I was found nervously in group B.). But regardless of it’s size, a tiger is just that. A tiger. Our struggles come in all shapes and sizes. They can be found in many places. Yet where some try to hide them, we all share in our flawed humanity. Every last one of us. Every tiger has it’s stripes and every Christian has their kryptonite. If only we would drop the dirty looks and haughty glances, perhaps we could see the dust on our own halos. We’ve got to understand, every person has a story. And every person has their raging tiger of a struggle. One thing the bible makes clear, for those of us who are born-again children of God, we have hope. 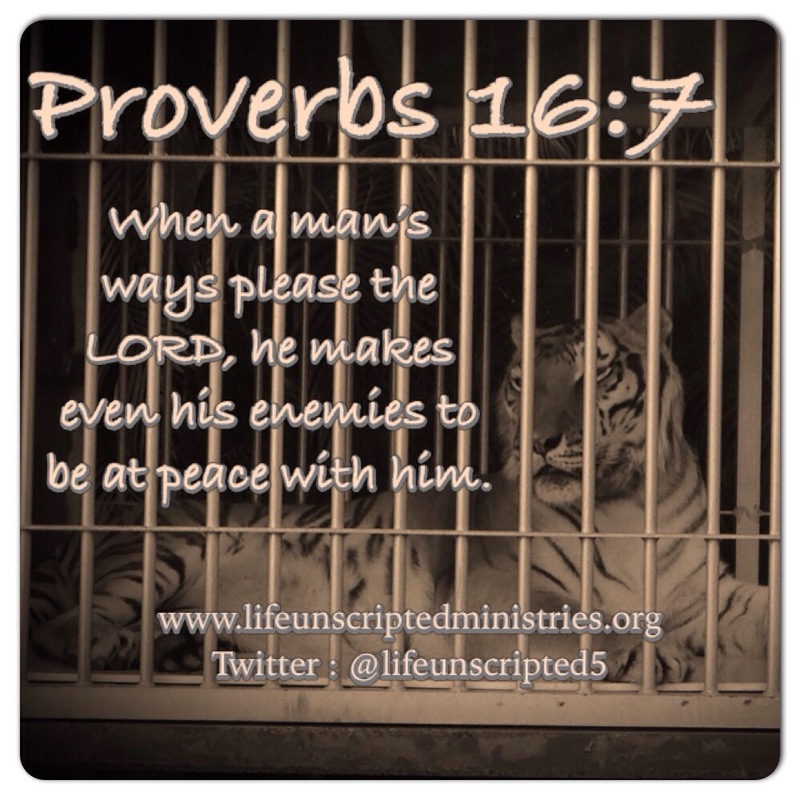 It says in Proverbs 16:7 that even our enemies will be at peace with us. No matter how loud our tiger’s roar is, we have hope that even the vilest can be tamed and be made to live peacefully with us. The key is prayer, prayer, and more prayer. It may not be the trophy winning answer you’re looking for, but it does ease the mind knowing you’re putting them in the hands of our living God who loves even the most sinful hearts. And He can tame even the wildest of tigers. If you’re face-to-face with an impossible situation right now, I’m praying you find peace in knowing that God is our protector and our provider. He will make a way out of the desert and into your promised land. He will fulfill the promises He made to you, come hell or high water. In your time of need, I promise you – He will come through for you. Posted on June 29, 2014, in The Battle Rages ---> and tagged battles, Hope, struggles, tigers. Bookmark the permalink. Leave a comment.